I've bought the fabric and now I'm blogging so it's official! 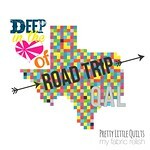 I am participating in the Star Surround Quilt-A-Long organized and hosted by Melissa at Happy Quilting. Yay! The fabrics I chose for this quilt is from the Hand Drawn Garden line by Anna Maria Horner. 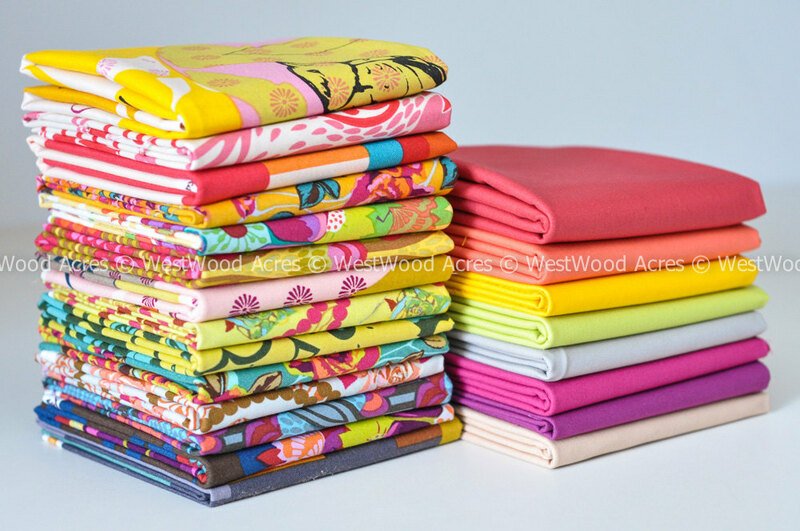 I got a great fat quarter bundle from West Wood Acres on Etsy. You can find out other layouts and fabric requirements. 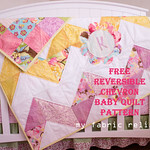 Intrepid Thread is also selling bundles specifically for this pattern with a coupon code! 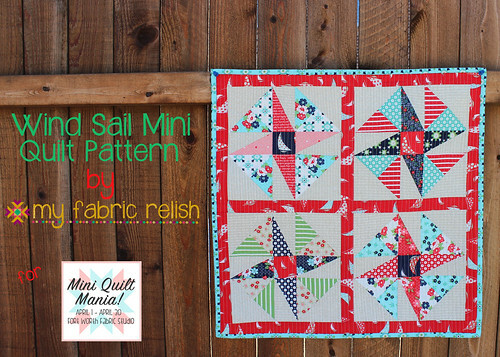 Go to Happy Quilting's blog post here to get all the details. Since I am also participating in the Swoon 2013 quilt-a-long and that is also a large star pattern, I want to make sure this one is very different looking. With that said, I don't want to use a white background fabric, but I just can't decide what background fabric I do want. Humph! I'm leaning towards a grey/charcoal or one of the solid colors in the bundle. What do y'all think? Any input would be awesome! Maybe I'll take some audition pictures and post. Have a great sewing weekend! 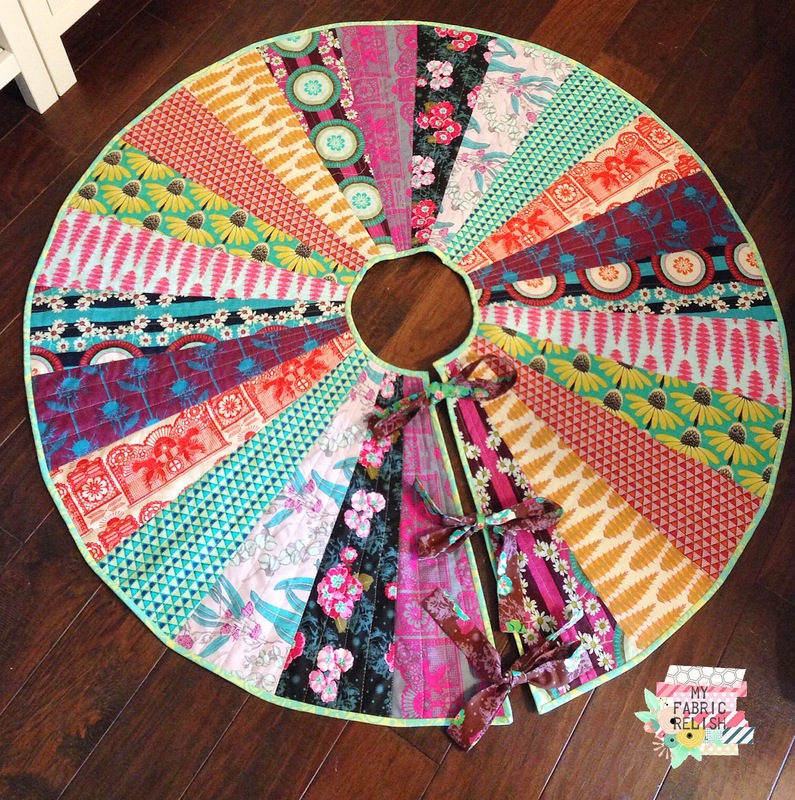 I absolutely LOVE the fabrics you chose for this!! 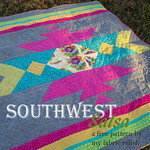 This quilt will be gorgeous! Thanks! Still deciding on background. Now Im thinking about a low volume print instead. Such bright and happy colors. I just posted my fabrics too. 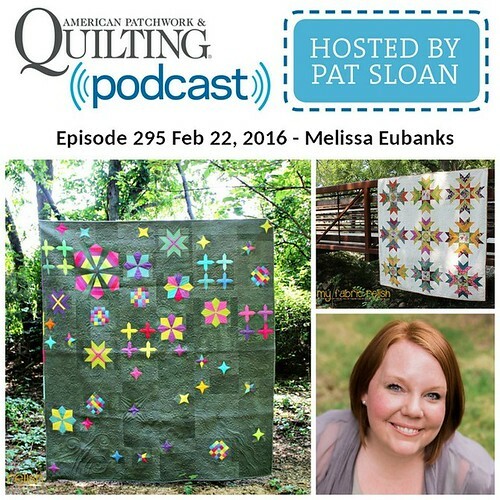 Yep, I'll be quilting along with you on this one. Look forward to seeing it progress. Yay! I am following you on bloglovin now so I can follow along with you as well! Going to go see what fabrics you picked now!